meet our speakers, panelists + Chefs! San Diego was a much different place when his family moved to the area in 1959. Growing up in Coronado, Mel remembers farms and dairies in Imperial Beach, Chula Vista and Mission Valley; his family was eating the best locally sourced dairy and produce from the Tijuana River Valley — once our region’s premier agricultural valley. Eating locally grown food in 1960s was the norm, not something that was hip. In the '70s Mel went into the restaurant business and bought locally grown produce and dairy products from produce docks and creameries in downtown San Diego. But the transformation to a global food system was underway, leading to the tragic loss of local farms and dairies who could no longer compete against a globally commodified food system. Cheap, old food from far away has proven to be not as delicious and nutritious as what he grew up with. These changes spurred him to help form San Diego Roots Sustainable Food Project in 2005 as a vehicle to educate fellow citizens of the importance of local farms and fresh food. Realizing that an educational farm was needed for that mission to be effective and engaging, Wild Willow Farm & Education Center was established in 2010, built from the ground up with education in mind. Key to the farm's message is the importance of building living soil as a foundation for a healthy food system, one that lives in balance with the ecosystem while producing nutritious and delicious produce. Mel is a strong proponent of small-scale, urban farming as a cornerstone of healthy people and communities. Mel loves giving farm tours, mingling his personal story with botany, farming practices, human and ecological health, regional history and (of course) goats. He’s a left-handed, saxophone-playing, pizza-making body surfer and has been a vegetarian since 1976. Mike Reeske was nominated as Local Change Maker for The Grow Network. Mike taught high school science for over 40 years. During this time he opened the Orange County Marine Institute in Dana Point Harbor, developed the Outdoor Education Program on Palomar Mountain for the Vista Unified School District, and worked 12 years as a writer and developer on the Science Education for Public Understanding Program for the Lawrence Hall of Science at the University of California, Berkeley. Mike co-founded Rio Del Rey Heirloom Beans, where he developed a sustainable organic farming system as a model for future small farms to use in further developing heirloom beans. Rio Del Rey Heirloom Beans collects and preserves rare and endangered beans from around the world, and supplies them for people to eat and plant. Rio Del Rey partners with UC Davis in a multiyear research project to improve organically grown heirloom dry beans. Frank Golbeck’s grandfather made mead. The golden “adult drink made from honey” would delight the people who tried it. Frank learned more about mead in the epic stories he loved reading, Beowulf and Lord of the Rings and Harry Potter. He wanted to try it but couldn’t find any. Then his grandfather gave him his last bottle. Drinking that mead was like drinking a summer’s day. Golden and warming and beautiful. Frank had to start making mead. He did so in college at UC Berkeley where people would drink his mead and start dancing. He did so when he was in the Navy, when he would collect unique honeys from all over the world and he learned about the problems facing bees and modern beekeepers. One night, his wife Theresa asked him, “What would you do with all of the time, money and energy in the world?” He said that he’d make mead and share it with people. She told him to do it so he started keeping bees and turned his passion for de-light-full mead into a business. Since then, Golden Coast Mead has been striving to Light Up the World with Regenerative Mead. Today, Frank’s at the forefront of beyond sustainable mead, using his skills and his business to craft dry, refreshing meads that help bees, beekeepers and the earth thrive. Frank can’t wait to share the magic of modern mead with you. Come to Golden Coast Mead in Oceanside to experience the magic first hand, or search for Golden Coast's meads online, at Whole Foods, BevMo!, Cost Plus World Market and Sprouts, or your local bottle shop - distribution is growing everyday so if they don’t carry our mead yet, ask them to. Christopher is a West Virginia native and 10 year resident of California, originally moving to Lake Tahoe in 2008 and relocating to San Diego in 2010. Chris worked with his mentor Trey Foshee for 3 years at the La Jolla powerhouse, George's California Modern before taking over as Chef De Cuisine at Cowboy Star in 2013. In December of 2016 he joined the opening team of Downtown San Diego's Pendry Hotel as Chef of Provisional among some of the hotel's other outlets. Christopher attributes his influences to growing up in a family of Painters and Architects as well as the agricultural landscape of southern California. He now brings his locally sourced produce based techniques to Biga. The Kitchenistas, who are graduates of the Cooking for Salud program at Olivewood Gardens are advocates for better access to healthy, nutritious food in their own home, within their families and their communities. Since the formation in 2013, the Kitchenistas have met once a month to discuss their overall goals and strategies on how to reach them through workshops, committees, community projects, events, among others. They have been very active in the local elementary school district where they having been doing parent-to-parent educational presentations and healthy eating food demonstrations. These presentations are one of the branches of the Kitchenistas School Wellness Coalition, a coalition with the mission of advocating for the wellness of the mind and body of the kids and parents in the school district. With over 170 Kitchenistas in the family at the moment, there is always something new going on but they never lose sight of their mission to plant the seed of wellness by sharing tools for healthy eating for themselves, their family and their communities. Terra Madre Gardens is the stewardship of a small piece of earth and a sacred journey for ourselves. We feel that this project is bigger than just us and is about the preservation of small local artisan farms that have a critical role in society. It is of tremendous importance that such places of inspiration and learning exist. Places where the community can come together, unplug from the outside, and connect on the inside. We are farmers, artisans, healers, educators and yogis who want to help create a better world and are dedicated to being part of the solution. This involves bringing together ideas that are regenerative and holistic for humans and the earth. This creative place allows us to promote home gardening, self-healing, healthy eating, yoga, artistic expression and community living. Whether it be through attending a workshop, tasting our fruits and veggies or simply walking the gardens, the love is felt. Join community leaders from within the Kumeyaay nation as we discuss the roles of traditional foods in the lives of the First Nation of our area, and how e can advocate for their flourishing. Stan Rodriguez (Iipay Nation of Santa Ysabel) is a Kumeyaay language and cultural educator at Kumeyaay Community College and other institutions throughout San Diego County, a US Navy veteran and drug and alcohol counselor, and bird singer. 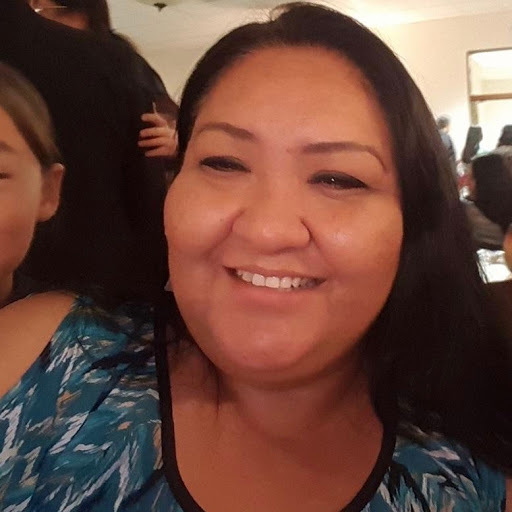 Martha Rodriguez (San Jose de la Zorra, Baja California) serves as Director of the Sycuan Cultural Department, and is an expert in Kumeyaay cultural foods, crafts and language. Martha is of the San Jose de la Zorra community of Baja California. 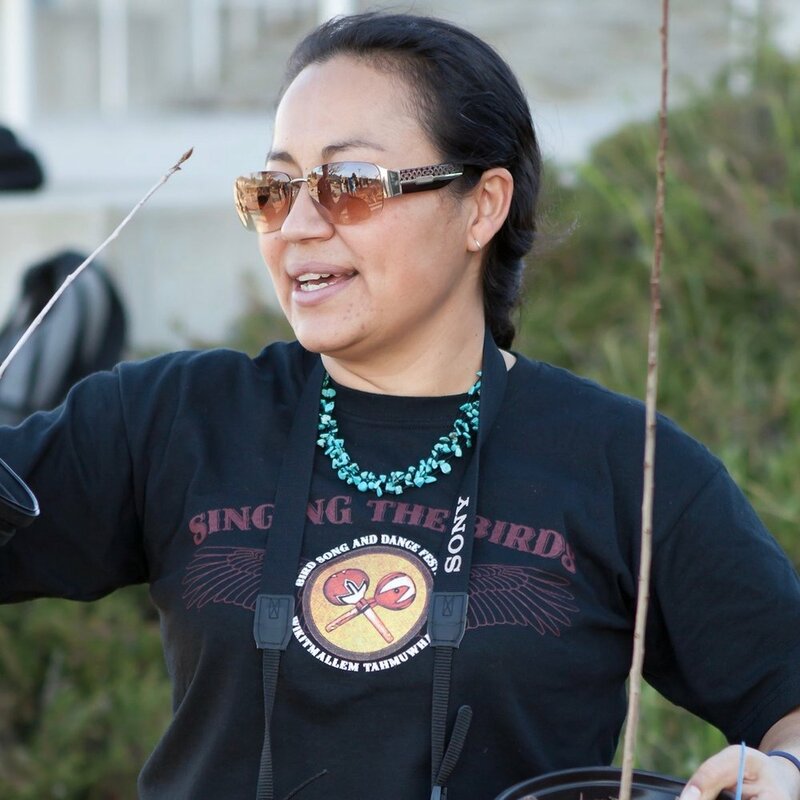 Kristie Orosco (San Pasqual) is an ethnobotanist, ecological restoration consultant and educator that has served with projects at CSU San Marcos, University of San Diego, and serves as Kumeyaay Resources Specialist at the Sycuan Cultural Center. Lacey and Paul Cannon (San Pasqual) are the founders of Indigenous Regeneration, a 501c3 that exists to inspire native communities on regenerative living concepts through food cultivation, medicinal farming, cultural and eco-village education programs to achieve re-indigenization and true tribal sovereignty. Ariana Arroyo Neves (Cochimí/Mayo) is an experienced world traveler trained in permaculture, hails from Ensenada, Baja California, and is an urban farmer and ecological landscaper working with the company Urban Plantations, which designs, installs, and maintains edible landscaping in urban environments. Colin Richard is a sustainability educator, storyteller and permaculture designer trained in community development, and is currently working in the travel industry as a writer and photographer.